Below is a small selection of leading and novel research in the field of environmental lead exposure that discusses the health, cognitive, social and physiological effects of lead exposure in our communities. Continued research is essential to assisting healthcare providers and public health practitioners in advocating for best practices that lead to the best health outcomes for the populations that we serve. Lead Poisoning in Children, Warniment, Tsang, Galazka, 2010. A thorough refresher of lead poisoning prevalence, routes of exposure, screening, and management of positive test results published in the Journal of the American Family Physician. 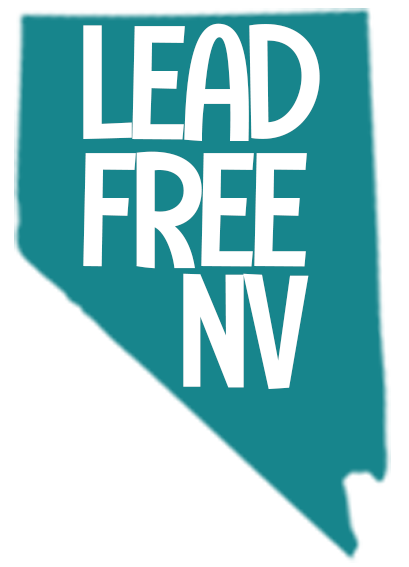 This resource explains the common sources of exposure beyond lead-based paint, to include cultural items like eye makeup and alternative remedies. Further, this paper shares how to counsel families to exclude dangerous contaminants, adjust their child’s diet to reduce lead absorption, and connect families to community resources that may help them avoid further exposure while also responding in a responsible fashion. Low-level lead exposure and mortality in US adults: a population-based cohort study, Lanphear, Rauch, Auinger, Allen, Hornung, 2018. This paper discusses the effects of chronic, low-level lead exposure on human development and physiology resulting in increased morbidity, particularly cardiovascular disease. Childhood Lead Poisoning, World Health Organization, 2010. This report outlines the need for universal testing and concludes that there is sufficient evidence for adverse health effects resulting from blood lead levels less than 5 μg/dL. Blood lead levels, once considered safe, are now understood to compromise health and injure multiple systems, even in the absence of multiple symptoms. This document describes the broader threat to public health posed by lead exposure and outlines morbidity rates and their sources, as well as socioeconomic contributors to disease incidence. Policy Statement – Lead Exposure in Children: Prevention, Detection, and Management, American Academy of Pediatrics, Committee on Environmental Health, 2005. The AAP discusses the need for continued surveillance of blood lead levels among pediatric patients despite the reduction in catastrophic lead injury in recent years. Further, evidence continues to mount that there are serious negative health outcomes for patients that have blood lead levels even below 10 μg/dL. Additionally, there is a need to shift from case identification and management to primary prevention. NTP Monograph on Health Effects of Low-Level Lead, US Department of Health and Human Services, 2012. US Department of Health and Human Services, 2012. This monograph by the National Toxicology Program of the US Department of Health and Human Services summarizes the evidence for lead-associated health effects in children and adults at these low exposure levels. The evidence provides support for adverse health effects in both children and adults at blood lead levels below 10 μg/dL, and for some effects, below 5 μg/dL, including neurological, immunological, cardiovascular, renal, reproductive, and developmental effects. Low-level environmental lead exposure still negatively associated with children’s cognitive abilities, Earl, Burns, Nettelbeck, Baghurst, 2016. A new study conducted in Australia, this paper describes the intellectual deficits children develop with increased exposure to environmental lead as assessed in 7 and 8-year-olds. The researchers found that the study clearly found a significant negative correlation between blood lead levels and IQ, even when controlling for socioeconomic, environmental, and familial variables. Further, the group challenges the perception that IQ reduction due to lead exposure is not serious, as they found the changes were a deleterious to cognitive development and that the effect was so great that the same findings may be reached within modest samples. Lead in Spices, Herbal Remedies, and Ceremonial Powders Sampled from Home Investigations for Children with Elevated Blood Lead Levels – North Carolina, 2011-2018, Angelon-Gaetz Klaus, Chaudhry, Bean, 2018. This article in Morbidity and Mortality Weekly Report follows the elevated blood lead levels in children to the source. Though the overall number of elevated blood lead levels are down, an increasing cause for exposure is the result of spices, herbal remedies, and ceremonial powders in their homes. As much as 28% of spices, herbal remedies, and ceremonial powders sampled from homes inspected contained 1.0 mg/kg lead or greater. Intellectual Impairment in Children with Blood Lead Concentrations below 10 μg per Deciliter, Canfield, Henderson, Cory-Slechta, Cox, Jusko, Lanphear, 2003. This article discusses the effect low-level exposure has on the development of 172 children varying in age up to 60 months. Researchers found blood lead concentration was inversely and significantly associated with IQ and other cognitive markers. Very low lead exposure and children’s neurodevelopment, Bellinger, 2008. In Current Opinion in Pediatrics, Bellinger describes negative health outcomes, including reduced intelligence quotient, academic deficits, and neuropsychiatric disorders such as attention deficit hyperactivity disorder and antisocial behavior occurring with exposure levels at or below 10 μg/dL, concluding that the current safe and low levels used to describe lead exposure still lead to morbidity. Children’s Lead Exposure: A Multimedia Modeling Analysis to Guide Public Health Decision-Making, Zartarian, Xue, Tornero-Velez, Brown, 2017. This paper describes the development of a coupled exposure-dose modeling approach that may be used to determine what drinking water lead concentrations keep children’s blood lead levels below specified values with consideration of exposure to water, soil, dust, food, and air. Prevention of Childhood Lead Toxicity, Council on Environmental Health, 2018. A policy statement of the Council on Environmental Health, the American Academy of Pediatrics explains the path to childhood lead toxicity via primary prevention. The AAP recognizes that while the average blood lead concentration in US children has dropped over the last 4 decades, many children are still at risk of lead exposure. Blood Lead Concentrations and Child Intelligence at 6 Years of Age, Jusko, Henderson, Lanphear, Cory-Slechta, Parsons, Canfield, 2008. This paper examines the association between blood lead concentrations assessed throughout early childhood and children’s IQs at 6 years of age. When children were followed from 6 months to 6 years of age, children with increased blood lead levels across that span performed more poorly on IQ tests at age 6. Educational Interventions Children Affected by Lead, Centers for Disease Control and Prevention, 2015. This CDC document outlines the available scientific data on the effects of lead and describes major gaps in our understanding of how successful educational interventions are for reversing academic problems in children affected by lead. Targeted to public health and education professionals, healthcare providers, and those who work with children, the studies cited here focus on the effects of low-level lead exposure on children’s brains, learning system, and development.